As part of this Phuket Restaurant Guide, I would like to invite you to some of the best eateries on this wonderful tropical island. If you've just arrived here for the very first time and you have no idea where to start or where to go, then let me show you around some of the best places. As part of this guide, I'd like to take you to some amazing Thai restaurants as well as restaurants serving some of your typical home from home foods. 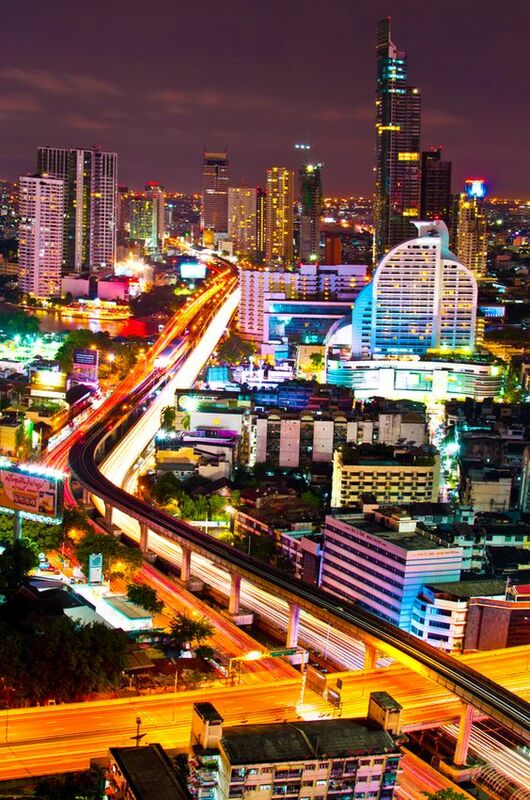 However, I would not want you to feel homesick while you enjoy that well-deserved vacation you've been dreaming of for so long and all the yummy Thai dishes that await you in Phuket. The Lotus Restaurant for a gastronomic feast and a fantastic vibe is by far one of the top ten restaurants in Phuket. Apart from the excellent cuisine while dining here, there is this huge bonus of gazing across the breathtaking ocean over the Andaman Sea from Bang Tao Beach. And that's not all, as no matter what your tastes may be, you will certainly find many mouth-watering appetisers and main courses to keep you coming back for more. Why not try some delicious Lobster Tomido or the Fried Mantis Shrimps with Garlic. No, wait a minute, try the Tiger Prawns with Panang Curry or the Fried Prawns with Cashew Nuts. On second thoughts, try the Steamed Grouper Fish with Lime Sauce or the Pepper Crab with Herbs. What I'm trying to say is that you will not be disappointed at this venue. The Lotus Restaurant is located on Bang Tao Beach and only twenty minutes from Phuket airport and two minutes from Banyan Tree Phuket Resort. The owner will even arrange to collect you from your hotel anywhere in the Laguna area. It has just come to my attention and with regret the Lotus restaurant has been demolished. It's with great sadness that this eatery has had to close its doors. I am sure many of you will agree with me that the food, ambience and pleasant memories shared here will now be lost forever. If you have a craving for Italian food, the La Gritta Restaurant at the Amari Hotel at Patong Beach is the place to be. This fine dining establishment brings together elegant design and comfortable furnishings coupled with breathtaking views of Patong Bay. 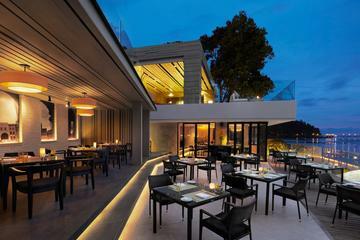 Showcasing the finest contemporary Italian cuisine, La Gritta is one of the trendiest places to dine in Phuket. You can book a table online here at no extra cost by checking the details above. The Baan Rim Pa Piano Bar and Restaurant provide you with a spectacular setting among shaded trees from their cliff top open air double story eatery overlooking the calm waters of Kalim and Patong bays. This award winning Phuket restaurant specialises in authentic Royal Thai Cuisine which attracts tourists from all around the world. The piano bar provides the perfect setting for blue's and jazz lovers and you can select some fine wines from the restaurant's award-winning cellar. This is without a doubt an outstanding Phuket restaurant. Ristorante & Pizzeria Napoli is a superb venue for all pizza and pasta lovers. Listen to relaxing music in this fully air-conditioned Phuket restaurant as you are served the best traditional pizzas and pasta in a truly classical style. Baan Yin Dee Restaurant forms part of a 21 room luxury boutique resort set in superlative surroundings. Relax in an atmosphere with a breathtaking view to die for while dining on mouth-watering tenderloin steaks, juicy peppered tiger prawns and huge grilled lobsters. As a good tip, try reserving a table early and ask for a poolside or balcony table as they have the best views overlooking Patong, especially at night. But don't let the view spoil your appetite for the excellent cuisine here. Before I forget and a huge bonus... is listening to Charlie, the Filipino on the grand piano as he pours out one jazz number after another. Mom Tri's Boathouse Wine and Grill is an internationally renowned restaurant situated directly on Kata beach, making it the perfect setting for all you romantics as you gaze across the tranquil ocean. This eatery is part of a luxurious boutique resort and specialises in fine Thai and French gourmet dining. An added bonus is their extensive range of over 700 labels in their wine cellar. If you decide to stay over at the resort, you won't have to travel far for a meal. The word Gung in Thai, by the way, means Rock Lobster so you can just imagine what the cocktail must taste like. A mixture of lobster versus Viagra... Well, not exactly, but be a devil and try one and then let me know what you think. Not to worry, though, you can still get the same award-winning wines as next door. Joe's South Restaurant is a Phuket restaurant owned and run by the same team as the Baan Rim Pa and Joe's Downstairs on Kalim beach in Patong. This brand new setting is nestled on the headland that separates Kata and Kata Noi. You can expect the same class of fine dining in a chic and relaxed atmosphere. Yes! of course you can order your favourite wine and cocktails here too. On the Rock Restaurant is located at the Marina Phuket Resort, which forms part of a private tropical garden and coconut plantation between the beaches of Karon and Kata. From the restaurant's open-air terrace, you would have the ultimate view of the setting sun as it disappears over the sea at Karon beach. This very popular eatery specialises in seafood and Thai cuisine. 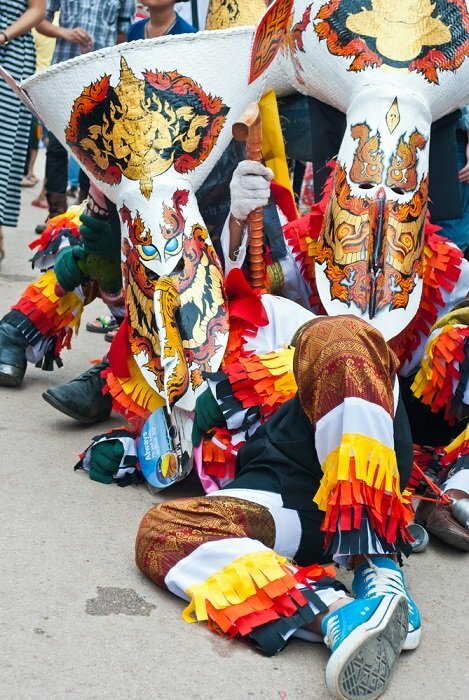 In addition, during the evening, you will be able to watch traditional Thai musicians and dancers perform. And as the very name suggests, should you be enjoying a leisurely breakfast or lunch, then watching the divers snorkelling in the coral reef below can be quite entertaining. The Secret Cliff Resort & Restaurant is perched high up on the forested cliff overlooking the spectacular Karon Beach and the Phuket coastline. Atmospheric and tranquil setting make this the perfect romantic hideaway and the cuisine is absolutely first class. This restaurant specialises in both Thai and European with some fine curries as well as delicious mouth-watering fresh fish. Please let me know how much you enjoyed your experiences at any of these top Phuket restaurants. I would love to hear your stories and if you like I could add your comments to my site. It would be appreciated it if you could let the owners of the restaurants know that you found their eateries from viewing my website.